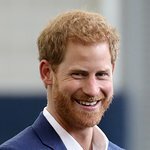 Prince Harry, a humanist reminiscent of his mother, the late Princess Diana, made it clear that he would like to make a difference as Diana had done in her lifetime. He’s off to a good start. At the third anniversary of the charity he co-founded with Lesotho’s Prince Seeiso, who also lost his mother, Harry spoke about poverty, AIDS and their charity. The Princes’ organisation is called Sentebale, Lesotho for “forget-me-not”, named in memory of their mothers but also for Lesotho AIDS orphans and victims of poverty. 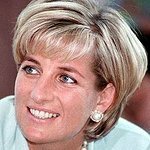 Much media has commented on the Prince’s straight talk, but such frankness is again reminiscent of his mother – Diana shocked many when she held a baby with AIDS, helping to break down fears, stigmas and misinformation about the disease.